SRINAGAR: On Independence Day, Governor N N Vohra asserted that only dialogue and discussion can pull the state out of "fear, distrust and growing cynicism" that have impeded its economic development. In his address at Sher-e-Kashmir stadium in Srinagar on Wednesday, he also announced that the long-delayed panchayat elections and polls to urban local bodies will be held between September and December. Vohra said confrontation will not help in resolving the issues facing the state, and urged political leaders and those helming socio-cultural and religious organisations to think about what has been gained from the "endless turmoil". "To pull the state out of the prevailing environment of suspicion, fear, distrust and growing cynicism, it is crucial that all stakeholders - whatever their political convictions or religious ideologies - close ranks and muster courage to accept that our problems can be resolved only through dialogue and discussion," he said. "And by sustained efforts towards promoting reconciliation and communal harmony." The separatists under the banner of Joint Resistance Leadership had asked people to observe a "black day" on Wednesday. JRL comprises Syed Ali Shah Geelani, Mirwaiz Umar Farooq and Yasin Malik. Shops, offices, fuel stations and other businesses remained shut in Srinagar. A police official said reports of a shutdown were also received from other district headquarters in the Valley. Authorities temporarily suspended mobile telephone services, including Internet facility on hand-held devices, as a precautionary measure. At the main Independence Day function, which was hit by a technical snag leading to cancellation of some cultural programmes, Vohra said it needs to be understood that some people have the sole objective of stoking unrest and their behaviour has resulted in Kashmir being branded "with a negative profile". Vohra praised security forces, saying they have successfully pushed back against the proxy war waged by Pakistan, but he said he hoped that a new leadership in Islamabad would help improve bilateral ties. An Imran Khan-led government is expected to take over in Pakistan this week. An official announcement is yet to be made. The Jammu and Kashmir governor said Pakistan has tried to send "an unusually large number of trained terrorists" into India during the past year. "Our Army and police forces carried out effective operations and neutralised, perhaps, the largest ever number of terrorists in the past many years," Vohra, who took over as the governor of Jammu and Kashmir 10 years ago, said. "I take this opportunity to raise my hand in salute to our fearless officers and men and pay respectful homage to the brave hearts of the state police, Central Armed Police Forces and the Army who made the supreme sacrifice to preserve the territorial integrity of our country," he said. 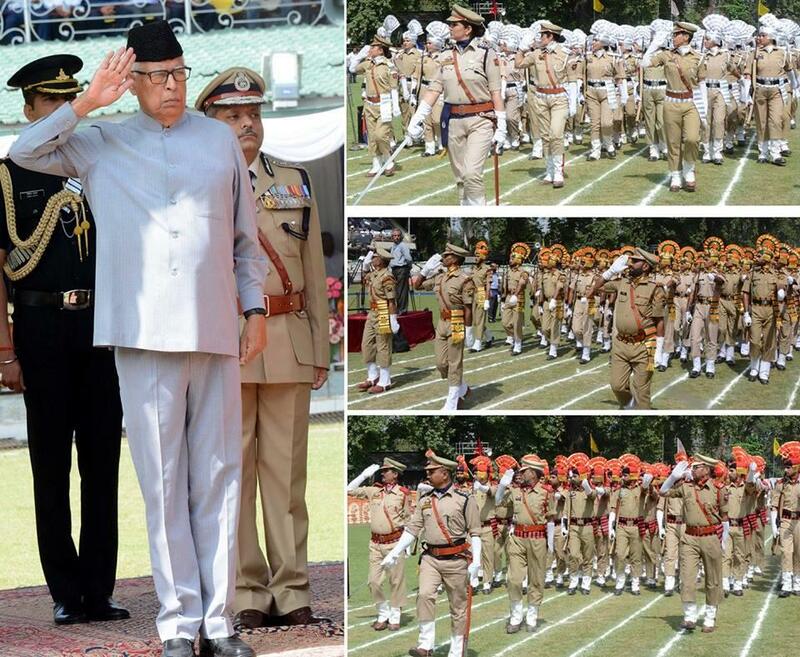 Vohra took the reins of Jammu and Kashmir following the fall of the PDP-BJP government on June 19. He said it has been his endeavour to see the administrative apparatus - right from the village level up to the state secretariat - functioning with promptitude, efficiency and complete accountability. In that process, he announced the urban local body and panchayat polls, which have not been organised for several years, will be held from September this year. "The prolonged delay in establishing democratically-elected self-governing bodies at the grassroots level in urban and rural areas has resulted in the loss of considerable funds which would have been available if elections had been held," Vohra said. The function at the stadium was temporarily hit after the sound system malfunctioned. The snag happened during a 'bhangra performance' by jawans of paramilitary forces. As the audio system could not be repaired immediately, a few cultural performances had to be cancelled. A senior official said the cause behind the malfunction was being investigated.